« I think it’s inevitable! 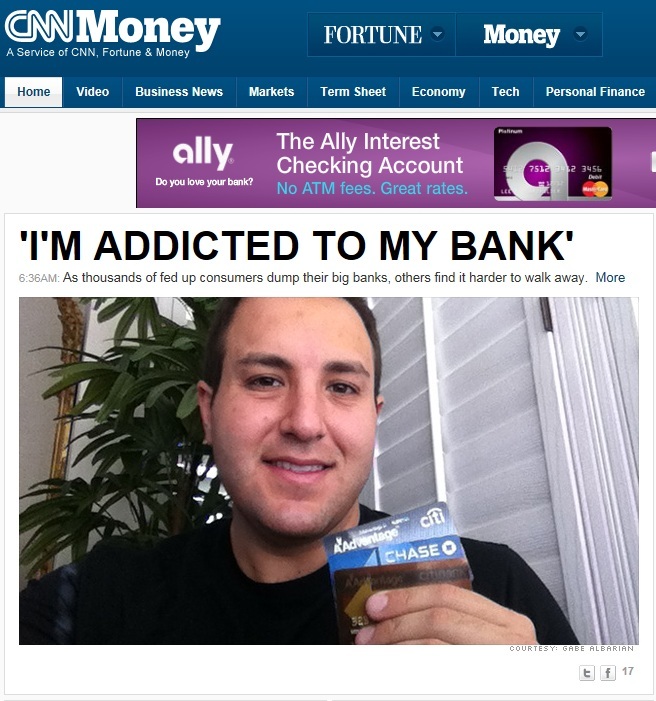 No, you are not ‘addicted to your bank‘ dear dummy. You just benefit from the services it provides to you, and you are having a hard time following this stupid ‘drop your bank’ meme. Or, if the problem is really about the hassle of switching banks being worse than the benefits of having a new bank, you are just a crying baby. Time to grow up. You do what you want – this is a free country. You choose your bank, you save your money under you matress, you can even burn your money and move to Mexico if you want. But please don’t tell me you are not doing things because they are too hard and you need help from other people who are doing fine. America is just way too spoiled. This needs to stop.